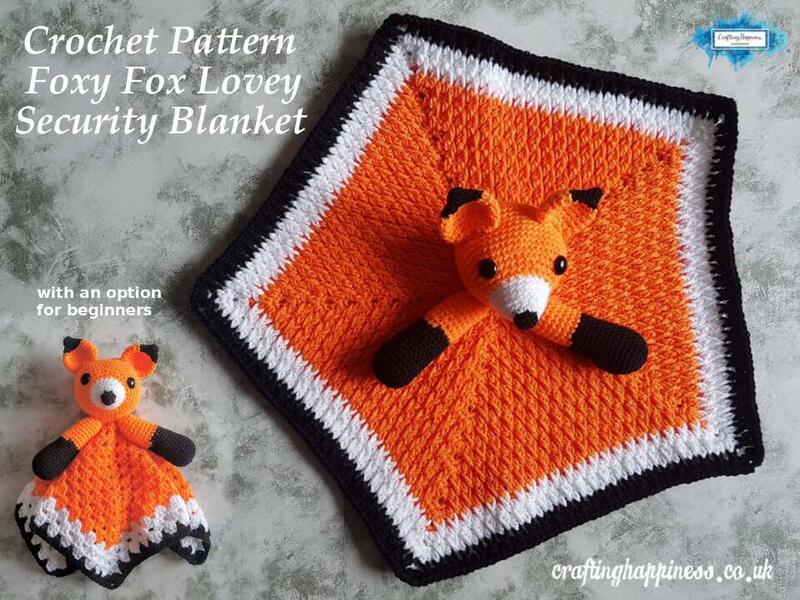 I wanted to use the same alpine stitch I used in the blanket, but I didn't want the lovey to be square, so I modified the stitch to create an pentagon shape. 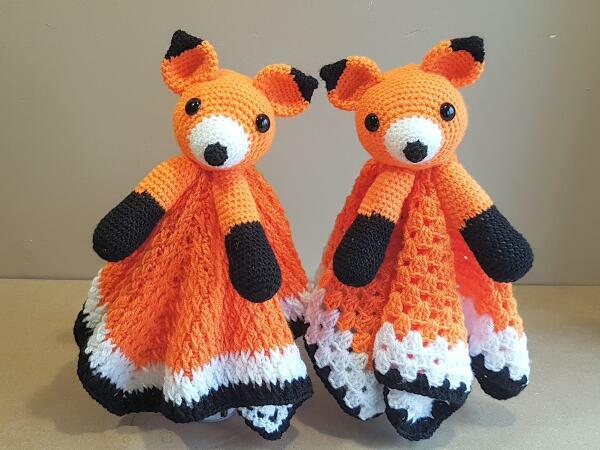 I also included a second version of the Foxy Fox Lovey, with an easier pattern, for beginners who just started to crochet, so nobody will miss out on this pattern. 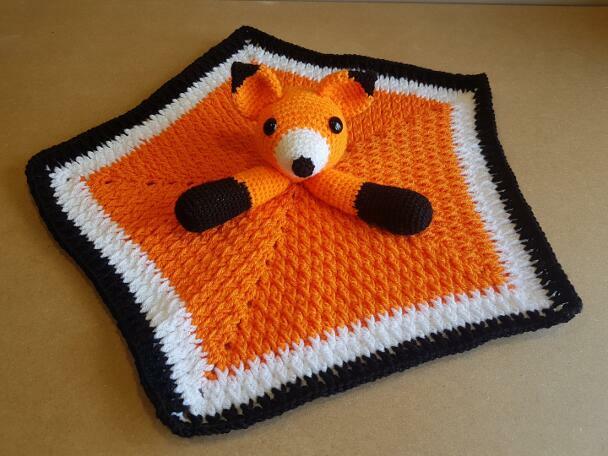 Don't know how to crochet the alpine stitch? 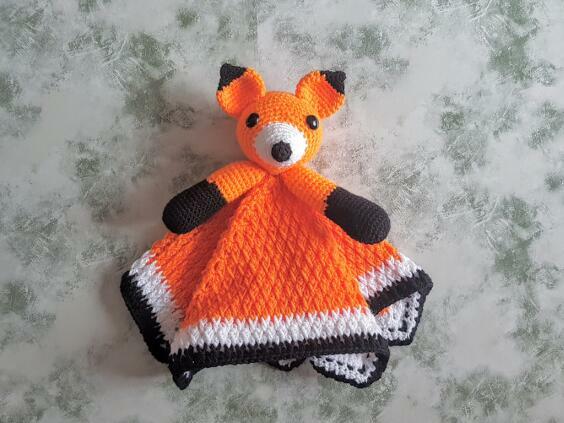 I have written a detailed tutorial and made a video on how to make it, you can find both HERE. 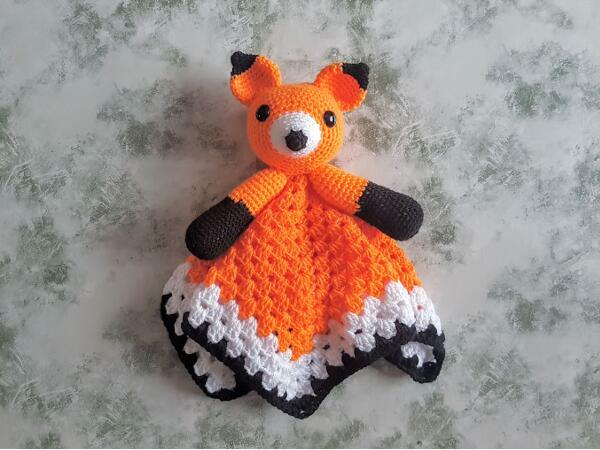 It is written in US terms, it uses basic stitches and therefore is suitable for beginners to intermediate crocheters who have attempted amigurumi patterns before. Make this lovey your own by choosing your own color scheme. 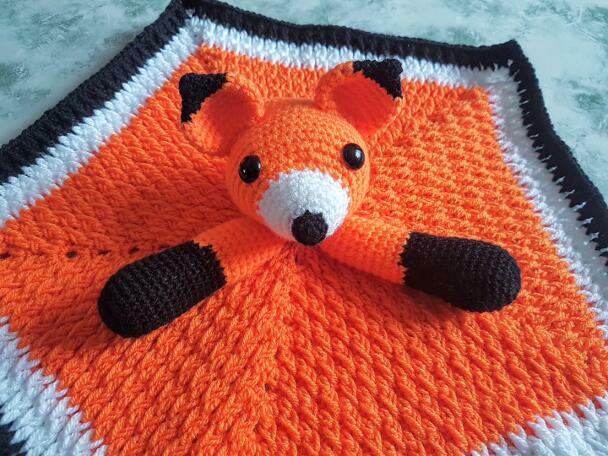 Use shades of blue for a boy, pretty pinks for a girl, or neutral colors such as warm orange (used in this pattern) or browns for an unisex lovey. 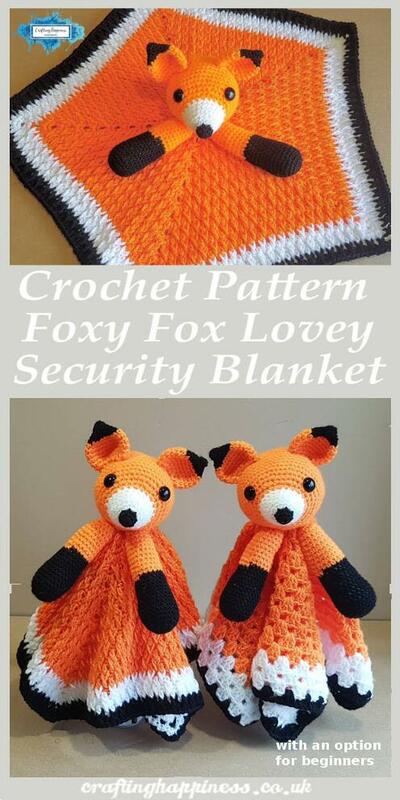 Both blanket patterns are adjustable and so, you can make them as big or small as you like, simply add as many rows as you like until the blanket reaches the size you want. 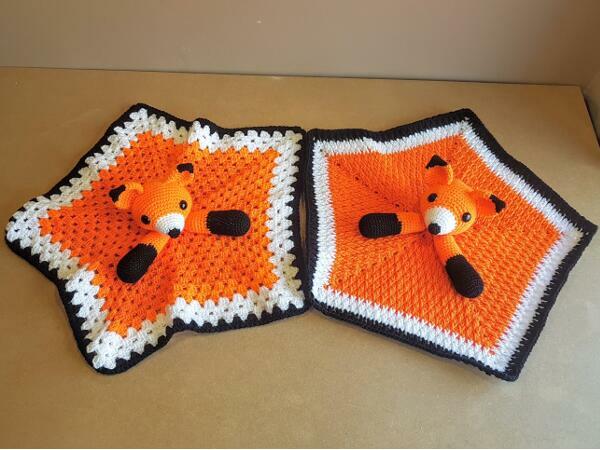 Looking for a different baby lovey designs?